The pit toilets function as the only restroom in the winter months. 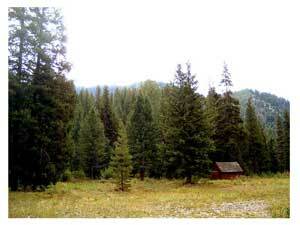 One facility is located just to the south of the Director’s cabin the other northeast of Hawley Lodge in the meadow. Each building contains a male and female side with two latrines each. Bring your own toilet paper as the latrines are not stocked.